It is the Adelaide Fringe, and I’ve suddenly found myself involved in a “Fringe” exhibition at the new and lovely Studio Bowden. The planned exhibition fell through, and I was asked to fill the gap! The exhibition begins on February 26th and runs through until March 6th. 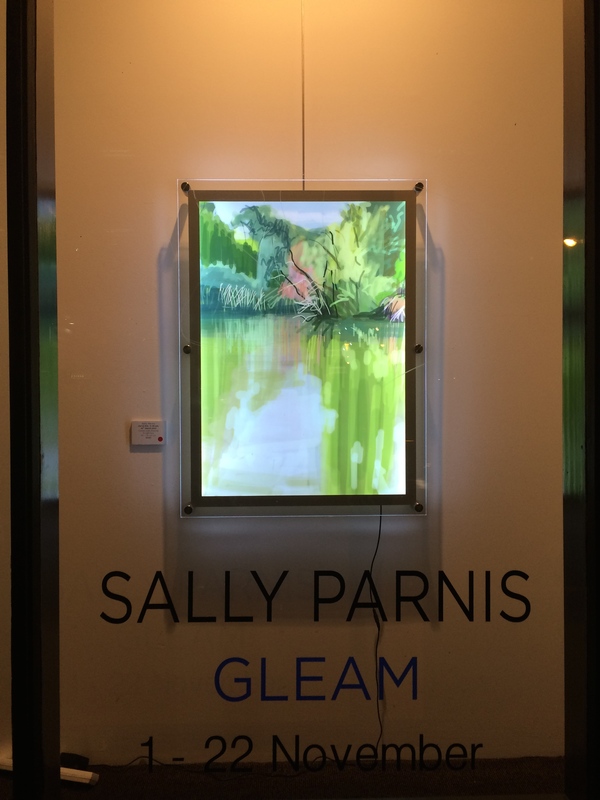 I’m showing landscape based works – swing by for a look! Studio Bowden is at 91A Drayton street Bowden. Adelaide Fringe Festival and the Emma Hack Art Prize exhibition. My Video Drawing work entitled “DNA” has been selected for the Emma Hack Art Prize Exhibition at the Adelaide Fringe. Emma Hack’s Exhibition celebrates the work of South Australian Artists, and this year the theme is “Identity”. The exhibition is in the Festival Theatre Foyer, and officially opens Thursday 11th February at 6pm. It can be viewed any day from 9 until 5 and when events are on at the theatre, and runs until March 13th. In my video work, the viewer can “participate” in the drawing transformation of one family member to the next. The unique qualities of digital drawing enable the drawing process to be replayed and preserved. Our DNA determines in part our unique and at the same time composite identity. This animated series of portrait drawings explores that fascination we have with family likeness. To see the movie, visit the exhibition at the Adelaide Festival Theatre, Feb 11th until March 13th!